Etsy Made Local will have plenty of gift choices for Christmas at SouthFest. Photo: Meeting Place Canberra. Families will enjoy a huge choice of free entertainment at the inaugural SouthFest later this month, which is celebrating life in Tuggeranong Valley. 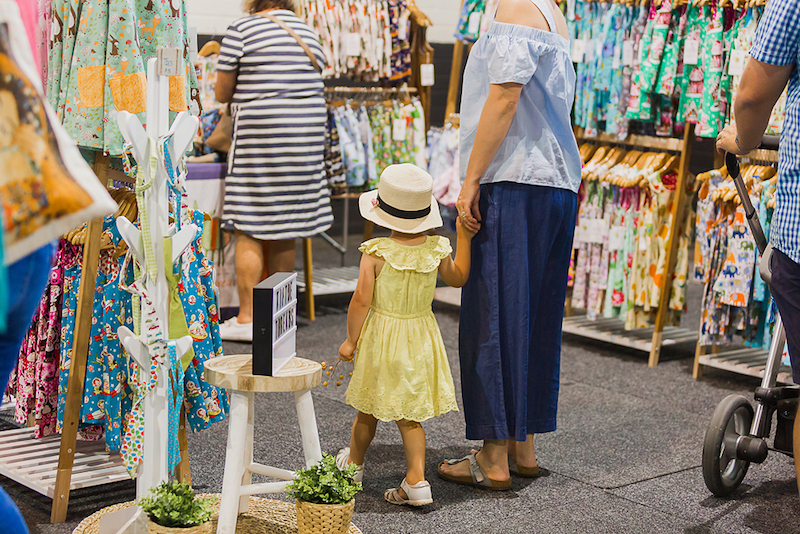 SouthFest in partnership with Etsy Made Local Canberra will turn an area between Anketell and Cowlishaw Streets, flowing down to Lake Tuggeranong Foreshore, into a town fair with more than 180 stalls and food vans. SouthFest committee member Taryn Langdon says the whole community will be involved in the celebrations on Saturday, November 24, from 11 am to 6 pm. “It is wonderful to have the generous support of partners like McIntyre Property Group who make it possible to provide every activity at SouthFest free for everyone,” Taryn says. “Families can come and enjoy the celebration, jump on jumping castles, run through obstacle courses or the reverse bungee, play in the Needhams NERF Arena, enjoy community art, craft activities and other games, or simply enjoy live entertainment across five stages without dipping into their pockets,” Taryn says. 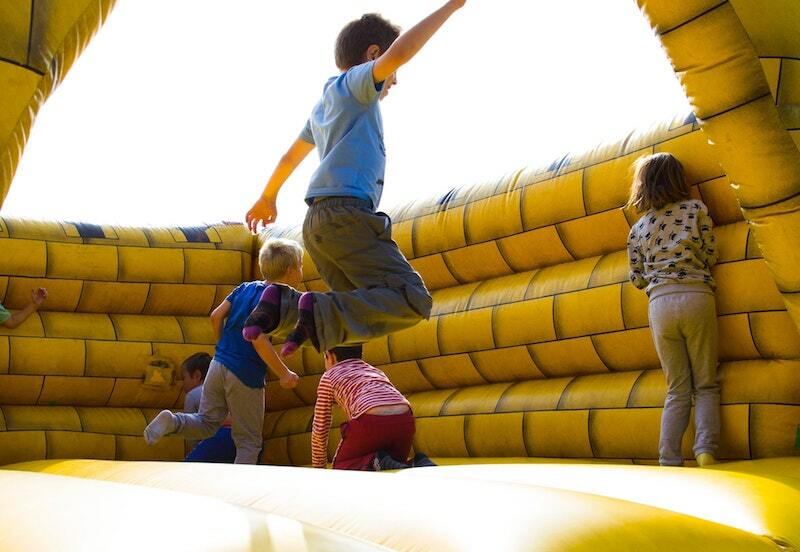 Children’s jumping castles and rides will be free at SouthFest, thanks to the McIntyre Property Group. Photo: Supplied. McIntyre Property is opening a new office in Greenway, and adding SouthFest to local sporting groups, charities and schools which the agency supports. Taryn says following developments in and around the town centre SouthFest will showcase the arts, entertainment, businesses and services to continue re-vitalising the town centre.“We want people to come and realise how close our beautiful lake is to the town centre and to just enjoy that part of the world,’’ she says. A potential clash of dates was turned into a win/win when Meeting Place -ACT & Surrounds, which delivers Etsy Made Local in Canberra, connected the event with the SouthFest organisers. “It just worked a treat that everyone was on the same page,” Taryn says. 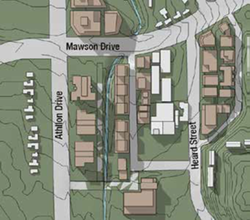 “Meeting Place were enthusiastic about bringing that sort of event to Tuggeranong. Five major corporate partners McIntyre Property Group, LDK Healthcare, the ACT Government, Wing and Icon Water will add to the collaboration of community partners. These include Tuggeranong Arts Centre, YWCA Canberra, Tuggeranong Community Council, Vikings Group and many others. Professional performers, leading youth bands, belly dancers, Sing Australia choirs, bush bands, and ukulele players will be among the entertainers. Food will range from chips on a stick, frozen cheesecake in a cone, loaded brownies, woodfired pizza, fresh juice, donuts, Mexican street food and Thai and hamburgers. For those who want to relax with a beverage during the event, the Tuggeranong Arts Centre will be hosting live music and opening their bar for the afternoon and Etsy Made Local Canberra will host Capital Brewing and Lenton Bar. “Whether people want to connect with a sport, or a new hobby, or simply do some Christmas shopping at Etsy Made Local Canberra, there is something for everyone,” says Taryn. A mother-of-two, who grew up in the valley, she sees a need to celebrate what is great about the Tuggeranong valley. Looking forward to the day, it will be awesome. Woden residents should show up, you are all invited. What a great initiative. Tuggeranong has long been in need of some Community events and services. Let’s hope it’s an event that is properly funded for a few years to grow into something special for the 80,000 tuggers residents. Tuggeranong schools are below capacity, because the ACT Government decisions severely reduced the number of young families moving into the region. This was caused by School closures, reduced youth facilities and a lack of incentives to encourage young families to move into the area. The ACT Government should be implementing policies and funding initiatives to reinvigorate Tuggeranong as a place for young families to move to. Canberra Centre Lifestyle precinct launch to feature Haigh’s Chocolate, The Cool Hunter, and Donna Hay!